Edited by Jonathan Davis, with contribiutions from John Baron, Max King, Mark Dampier, Sandy Cross and many more. The Investment Trusts Handbook 2019 provides investors with investing essentials, cutting-edge expert views and powerful trends and data on investment trusts – often referred to as the City’s best-kept secret. With contributions from key commentators, writers and leading industry experts, all edited by respected financial journalist Jonathan Davis, the handbook delivers for investors both private and professional, and is an indispensable companion for anyone looking to invest in the investment trusts arena. 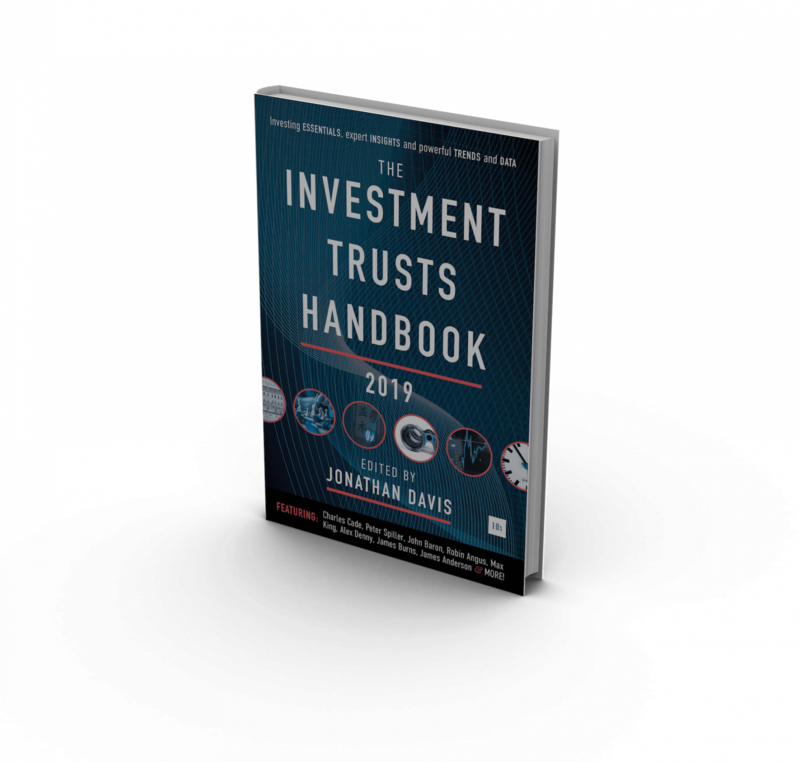 The Investment Trust Handbook is supported by: Aberdeen Standard, Artemis, Fidelity International and Jupiter Asset Management. A high-quality, full-colour hardback, the Handbook delivers for investors both private and professional, and is an indispensable companion for anyone looking to invest in the investment trusts arena. At Money Makers we offer a range of comment, analysis, links and interviews, culled from the many sources that our editor has come to value over more than 35 years of following the financial markets as an author, national newspaper columnist and professionally qualified investor. If you are looking for speculative share tips, Money Makers will not be for you, but if you want top quality insight from some of the best minds in finance, you have come to the right place. Money Makers is conceived as a high quality information resource. The content on offer includes podcasts, Q&As with top professional investors, and links to articles by experts whose work we have reason to admire. We will also report on real and model portfolios and track fund and stock data. All this content is updated regularly on the website, with a regular email summarising the latest content.